I’m vacationing this week at my Mom’s house – my brother and family are visiting and we’re in full cousin-crazy-playtime here. I thought I’d share some of my favorite cookie/holiday sweets recipes with you this week while we’re livin’ the good life at Grandma’s house. Next, add in 2 eggs and 1 teaspoon of vanilla. 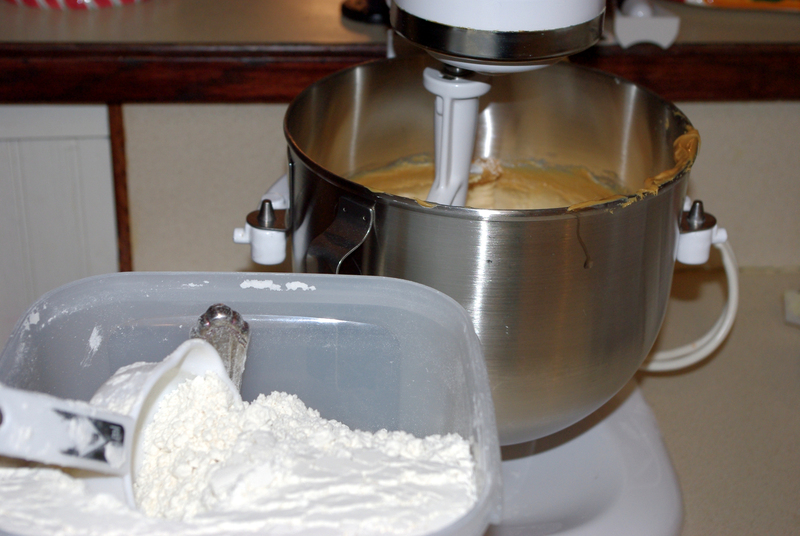 Mix and add 3 1/2 cups of all-purpose flour, 1 teaspoon of baking soda and 1/2 teaspoon of salt. 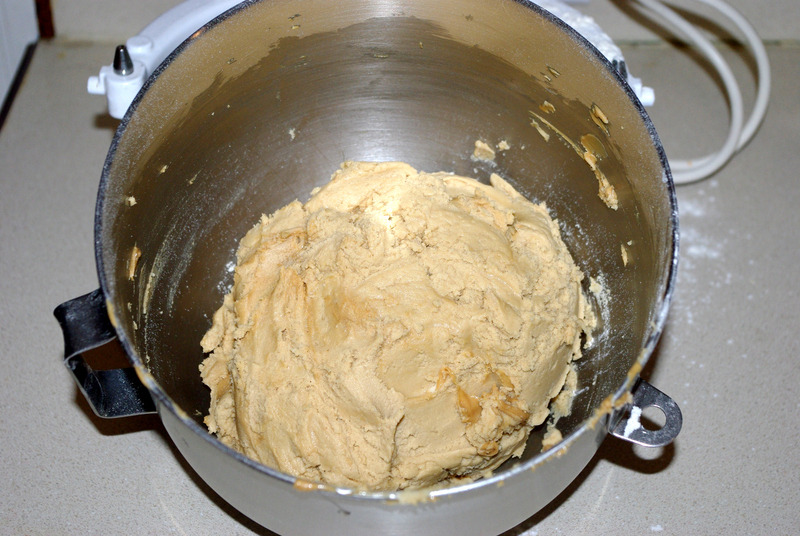 Then, cover your dough and let it chill in the refrigerator for a few hours. After it’s chilled thoroughly, take the dough by teaspoon-sized pieces and flatten into round circles. 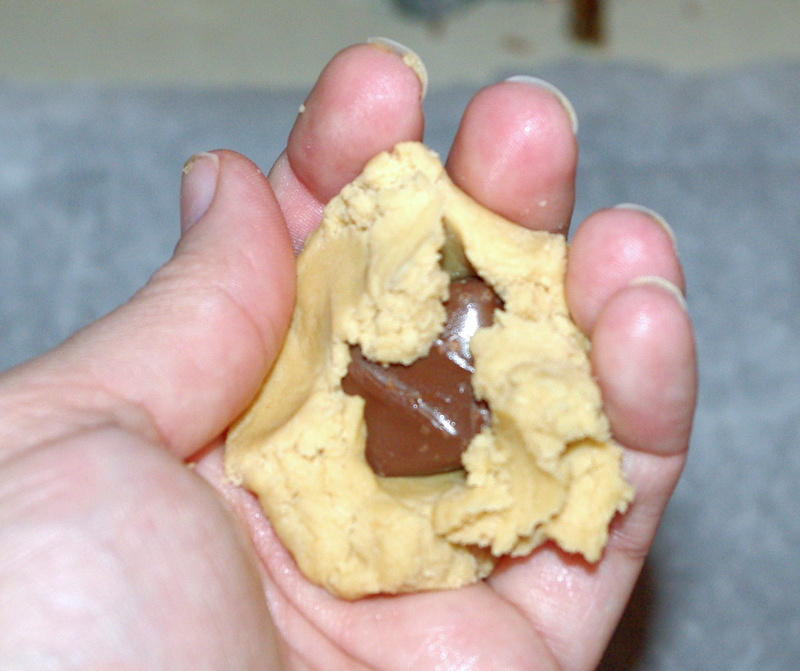 Place each ball of dough onto a greased cookie sheet and bake at 325 F for 10-12 minutes. Cool on a cooling rack. Note: you will want to let them cool before you handle them too much. I put them on parchment paper on the cookie sheet and I slide the entire sheet of parchment paper onto the cooling rack. This allows the “gooey” insides to cool and set. If you pick them up too soon, they break open – and, then, well, you have to eat the evidence! IF you want to go all-out, drizzle them with some melted chocolate. They never last long enough at my house for me to do this, though! 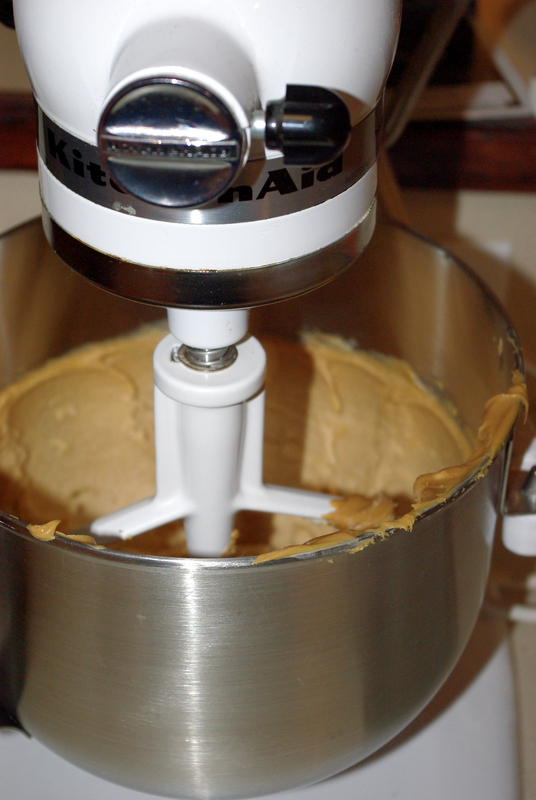 Cream butter, peanut butter, brown sugar until light and fluffy. Add flour, baking soda & salt. Cover and chill dough 2-3 hours. 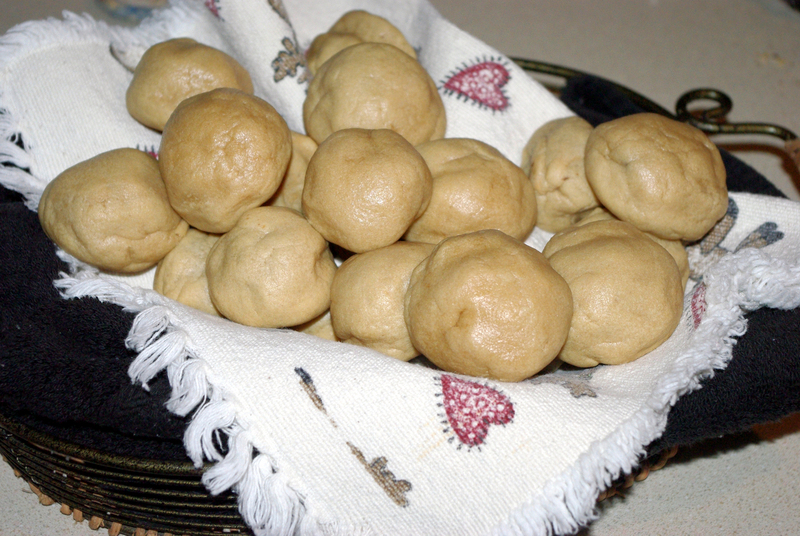 Divide dough into teaspoon-sized balls. Flatten into circles. 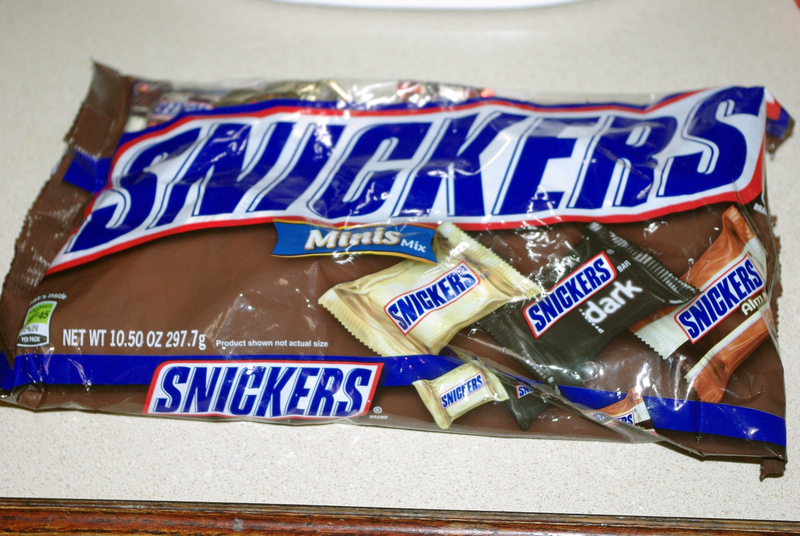 Wrap dough ball around Snickers mini. 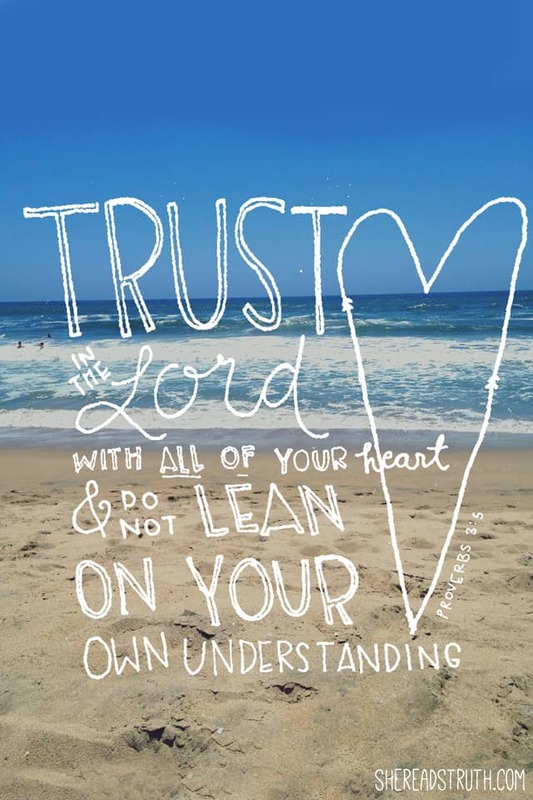 Place on greased cookie sheet. Bake at 325F for 10-12 minutes. Drizzle with melted chocolate (optional). Oh, and here is a BONUS RECIPE. Mix all three ingredients in a LARGE bowl. Place in freezer to set.